PLEASE NOTE: Application is for Canadian fire departments only. The terms and charter of our Foundation do not allow us to accept CO alarm requests from members of the general public or fire departments outside of Canada. 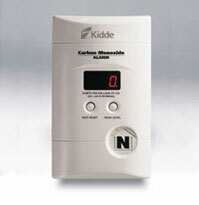 Fire departments – we know you are often a first responder to carbon monoxide calls. We know you interact with citizens daily and actively promote fire and CO safety. We also know you visit homes in your community to inspect smoke alarms and CO alarms and enforce compliance with local laws that may exist. community at your discretion. When you come upon a family that requires protection but may not have the means to purchase a CO alarm for themselves, now you will have an option to provide a CO alarm to them free of charge and with no cost to you. department(s) to receive their requested free CO alarms. To be considered, request forms must be completed in full. Missing information will result in the request being rejected. If your fire department is selected to receive a CO alarm donation, you will receive a notification letter from the Foundation. Alarms will be shipped to you directly. Ideally a representative from the Foundation will visit your fire department for a photo signifying the donation, to which local media may be invited. Please realize we are a grassroots foundation with limited human resources and funding. We will do our best, but not all CO alarm requests can be granted. If you are selected to receive an alarm donation, you will be required to provide a log of how and where alarms were distributed. Under no circumstances can donated alarms be resold. This is a requirement of our Foundation charter and charitable status.